Here’s our list of 8 of the best Substratum themes for Samsung devices. These Substratum themes will make your Samsung Galaxy phone look amazing. Try them for an awesome customization experience! Back in 2016, Samsung has launched its own theme engine called Samsung Themes. This has represented a huge step forward for the company because the device finally could adapt to the user and not the other way around. While this is the best option for most people thanks to its ease of use, it also comes with some important limitations. For those who are looking for more freedom and control, Substratum is the way to go. Not only it offers deeper customization options, but root access is not required. Here’s our selection of the 8 best Substratum themes for Samsung devices! Substratum is a theme engine developed by the Projekt Development team as an open source project. The offered value was too important for it to go unnoticed, and that’s why today it has the largest community of any competitor. As a result, it’s incredibly easy to access resources and obtain support when needed. Moreover, this also encourages third-party developers to create new masterpieces, which can completely change the looks of our devices. 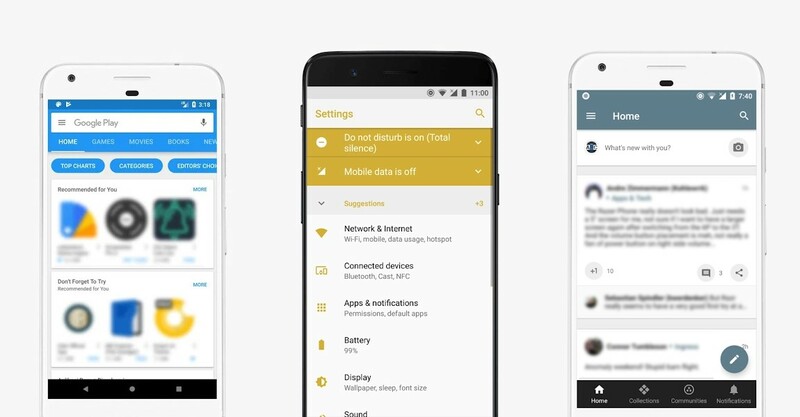 While this article is entirely dedicated to Substratum themes for Samsung devices, the theme engine itself is also fully compatible with Pixel and OnePlus smartphones. Additionally, you can also use it with custom AOSP ROMs on basically any device. How to use Substratum on Samsung Devices? Substratum supports Samsung devices running Android Nougat or higher. While you can use it as it is with root access, one of the biggest advantages is rootless customization. In order to achieve this, you’ll need one of two add-ins, depending on your Android version. To be precise, you’ll need Sungstratum for Nougat devices and Andromeda for Oreo ones. Even though they’re paid, it’s a purchase that you won’t regret, considering all the benefits. On top of that, we have already tested Andromeda on the One UI Beta based on Android Pie, and we can confirm it works. Even though no themes support it for the moment, it’s great news for future-proofing. Carefully read all the in-app pop-ups, as they can provide some very important information! 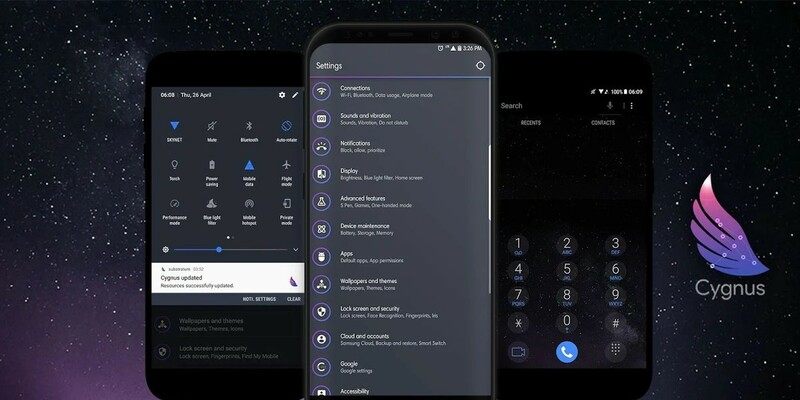 Samsung devices have always been notoriously complicated to customize, bust Substratum was able to overcome the obstacle. We have selected 8 of the best themes you can get right now, each of them unique in its own way. Some themes provide few variations, so that’s why you’ll find them grouped together. Lastly, keep in mind that there is no specific order in the list, so we recommend to check out all the options. Now, let’s get into the best Substratum themes for Samsung devices! Recommended: Samsung One UI Beta Review: 5 Days Later! Remember to uninstall all themes before a system update! Swift themes are some of the most popular ones out there, and this won’t be a surprise if you’re already familiar with them. They entirely and precisely customize the entire system, plus they offer support for over 200 apps and receive frequent updates. Additionally, the package you choose determines the background color, so it better fits your preferences. 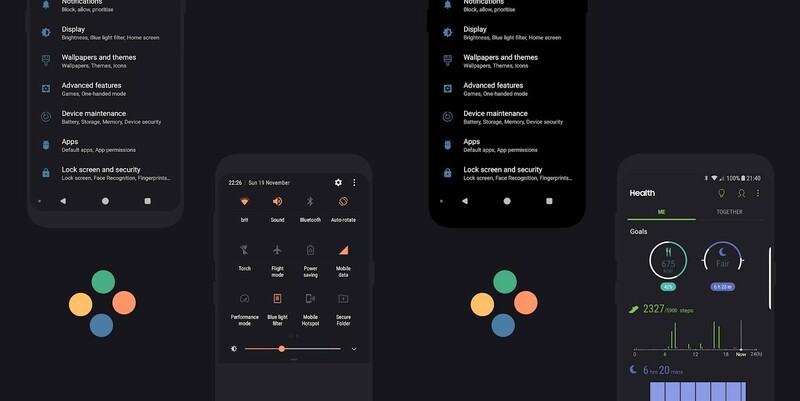 Flux themes resemble the design of the Android Pie interface under several aspects. You’ll immediately notice all the rounded elements, including the multi-color circular settings icons. Both themes come with a lot of vibrant accent colors to choose from. Additionally, the regular Flux offers dark grey and pitch black backgrounds. Pitch Black is a well-known theme, which has been around since RRO Layers. Now, the new Samsung version takes all the best from these years of experience and translates it into a delightful dark theme. This theme is especially unique thanks to the 130 possible color combinations. Additionally, if you need some inspiration, the Play Store screenshots show you some awesome examples of the results you can get. Don’t miss: Do Dark Themes and Black Wallpapers Save Battery? Swift Minimal has been created by the same developers from the previous three Swift themes. However, this one is quite a bit different, since it’s been specifically designed for Samsung Experience. In fact, the main difference is in the name: instead of simply changing the colors, Swift Minimal also removes unnecessary structure elements. As a result, you can get a cleaner look with more customization options for your Galaxy device. Victory is a dark theme unlike others you have seen until now. In fact, it allows you to customize the interface with transparency effects and rounded corners. Additionally, to complete the look, you’ll also find some included wallpapers which look great when you enable transparent panels. Cygnus is a very complete theme, which offers the possibility between several light and dark options. On top of that, you can also opt for a transparent UI to see your wallpaper through other apps. The design language is very clean but also pretty unique, so this theme is perfect for whoever wants an alternative to Material Design. Yoru is a black theme, which integrates vivid color accents in a subtle and elegant way. Moreover, if you install Samsung Sans through Galaxy Apps, you’ll be able to change your font to Google Product Sans. While the theme is completely free, there’s also a donation package available in case you want to support the development. Ion is a very simple white theme, which focuses on maintaining a clean look while adding custom accent colors. With the Material Design 2 guidelines heading towards a fully white interface, Ion allows you to restore the colorful elements many people loved.